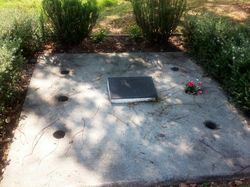 A monument commemorates the victims of the Cowper Bus Crash in 1989. 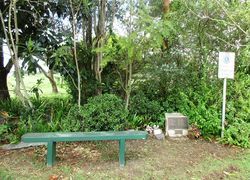 In October 1989, a semi-trailer laden with cans of fruit juice drifted to the wrong side of the Pacific Highway and ripped the side from a Sunliner coach heading in the opposite direction. 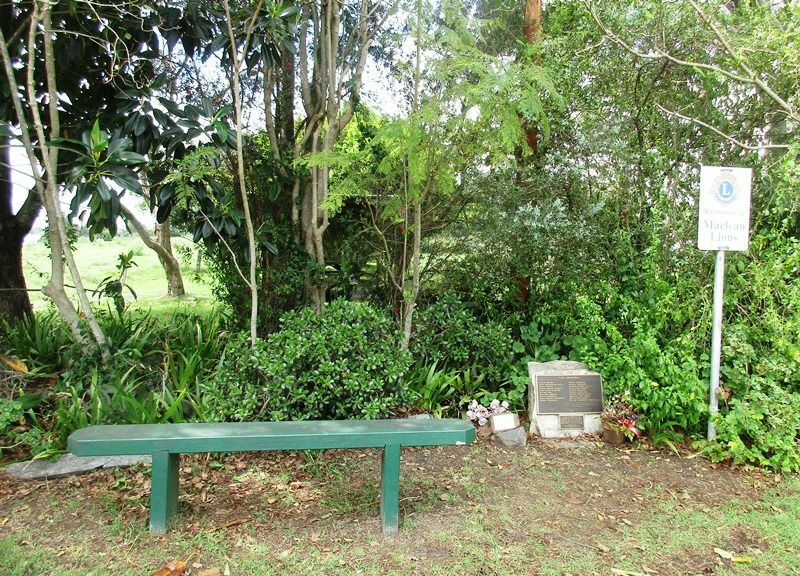 Twenty people died as a result and at the time it was Australia`s worst road accident. 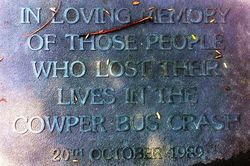 This plaque marks the 25th anniversary of the tragic Cowper bus crash. Despite the passing of time, the thoughts and prayers of the people of the Clarence Valley remain with all those who suffered.